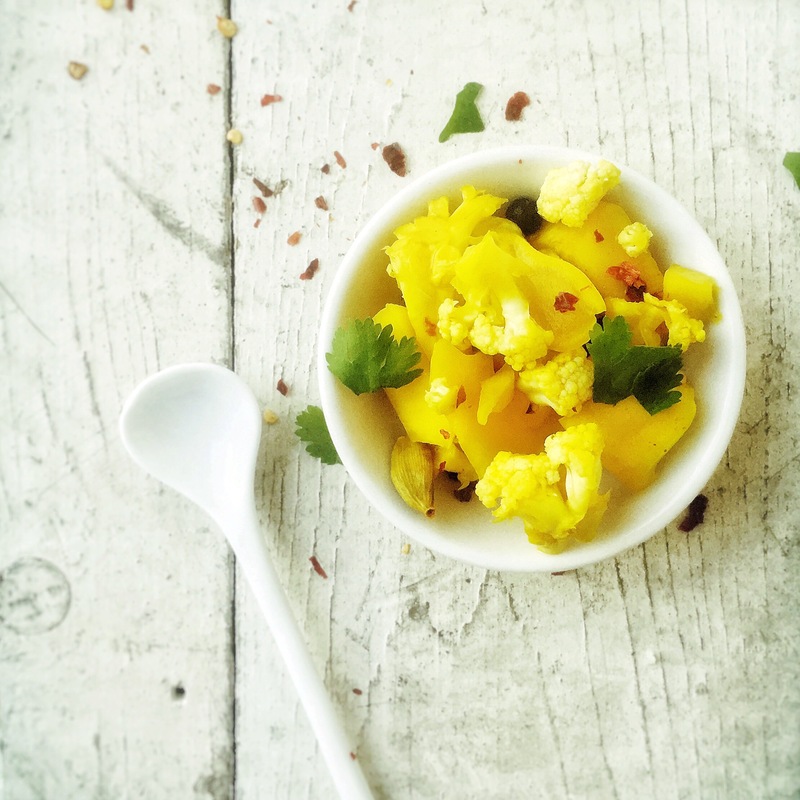 After making cauliflower cheese for the children the other day, I was loathe to waste the stem so here’s a really easy to make cauliflower pickle that uses it. Spicy and laced with chilli and turmeric it’s really moreish and good for you. Forget its bad school lunch reputation and enjoy the crunch and flavour alongside a curry or, as I do more often than not, as a snack straight from the jar. 1. Chop the stem into small pieces and pack into a sterilised kilner jar, or similar. 2. Bring the remaining ingredients to the boil in a saucepan and leave to cool to room temperature. 3. Pour into the jar, seal and store in the fridge for one week, after which it will be ready to eat.